My interview this week is with Jean Alicia Elster. She used to be a lawyer, but now she is an author. I got to met her at a book fair. She was very nice and I hope to meet her again. She writes historical fiction for young adults and children. She lives in Michigan and said she likes to include Detroit in some of her books. I recently reviewed The Colored Car and Who’s Jim Hines? Some of her other books are Just Call Me Joe-Joe and I Have A Dream, Too! Jean Alicia Elster has won many awards as an author. The Colored Car was the Honor Book for the 2014 Paterson Prize for Books for Young People. Who’s Jim Hines? won the Michigan Notable Book Award in 2009. She also received the 2017 Kresge Artist Fellowship In Literary Arts. Question: In The Colored Car, I think it’s cool that Pasty and her family live in Detroit. What is your favorite historical place in Detroit? Answer: My favorite historical place in Detroit is Fort Wayne. There, visitors can see the remains of the original fort and barracks, a Native American burial mound and the Tuskegee Airmen Museum. Definitely worth a visit! Q: What inspired you to write The Colored Car? A: I was inspired to write The Colored Car because I wanted to offer a view of Detroit that is not necessarily well-known: an African American family during the Great Depression in the 1930s where the husband and wife are mainstays of the community, having created a successful business against all odds. Q; If you were Patsy, would you go on the colored car or would you whine and scream so you could go on the cleaner car for white people? A: If I were Patsy, I would have understood that, as a child, I had no choice but to go with my mother to the colored car. But I probably would have, also, fussed about having to leave the comfort and cleanliness of the first-class train car. Q: Do you know how to quilt like Patsy? If so, what is your favorite part about quilting? piecework—sewing together the various pieces of fabric to make the intricate designs on the top layer of the quilt. Q: Why do you think diversity is important in children’s books? A: Diversity is important in children’s books because we live in a world of many different cultures, races, nationalities, religions and points of view. It is important that young readers are exposed to these differences in a way that helps them understand the world and their place in it. Q: What message do you want readers to get out of The Colored Car? A: The message I want readers to take from The Colored Car is that they have the ability to overcome any obstacles they encounter in life in a positive and life-affirming manner. Q: In Who’s Jim Hines? I noticed there were pictures in the middle. Does this mean the characters are real people? A: Yes, those are archival photos of actual members of my family! The family member characters all existed, however it is important to remember that while the book is historically correct, the events have been fictionalized. Q: I also noticed there is a Jean in your books. Is that Jean you, or related to you? A: The character Jean is my mother. That is her actual name. Douglas Ford and Doug Jr. are actual names as well. 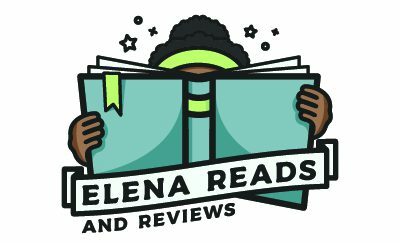 DetroitElena ReadsfeaturedJean Alicia ElsterMichigan authorthe colored carWho is Jim Hines? Wonderful interview from a Young journalist and word smith ! Your love of books is extraordinary it opens a lot of Eyes to our wonderful world ! Love 💗 you 💕 ! Thank you so much for commenting on my blog. I’m excited to see you next time.